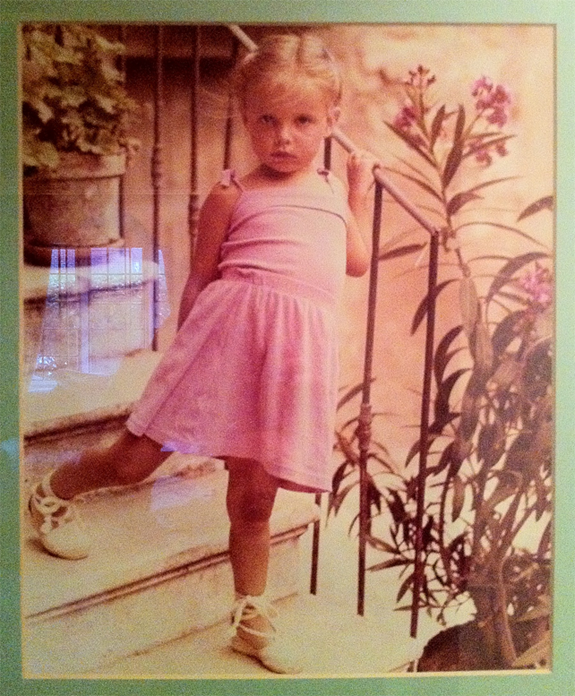 Joanna’s began at the age of three living her life in front of the camera’s. She was spotted by a modelling agency in London, called Elizabeth Smith, and soon became the distinct face of children’s modelling. She did shoots for Mother care, Littlewoods, Lego, Penguin confectionery, and McDonald’s to name a few. Taken abroad to Crete and Shoots for Japanese magazines. From the age of four, she always loved Disco dancing and used to dance at “Skindles”, a children’s Discotheque in Maidenhead. Here she was spotted by the Music producer who asked her to be in a band! She found fame in the UK, in the popular if controversial programme MINIPOPS in 1980, at the age of five, appearing on Russell Harty for their first live TV appearance. The group were presented their first Gold Disc for achieving sales over 100,000 copies by Chris Tarrant and Sally James on the show Tizwas. With their first series named “Mini pops” for new UK broadcaster Channel 4 in 1982, she was the youngest member of the group. She often performed solo versions of the popular songs of the day. One of her performances, which has been noted as TV nostalgia was that of her Sheena Easton, singing the love song “9 to 5” (aka “Morning Train” in America). Mini Pops sung the theme tune to The Wide Awake Club and Wac a Day, hosted by Timmy Mallet and were regulars on the show, interviewing the stars at the time they were taking off on their albums. They also appeared many times on TV-AM and in Ireland on The Late Late Show with Gay Byrne. At the age of 5, she was the youngest performer to ever appear on Russell Harty’s BBC chat-show. Joanna stayed with the Mini Pops long after the shows cancellation from UK screens, enjoying further success with the group in Canada where their third album was the third biggest selling album in Canadian history at that time, behind Michael Jackson and Boy George. 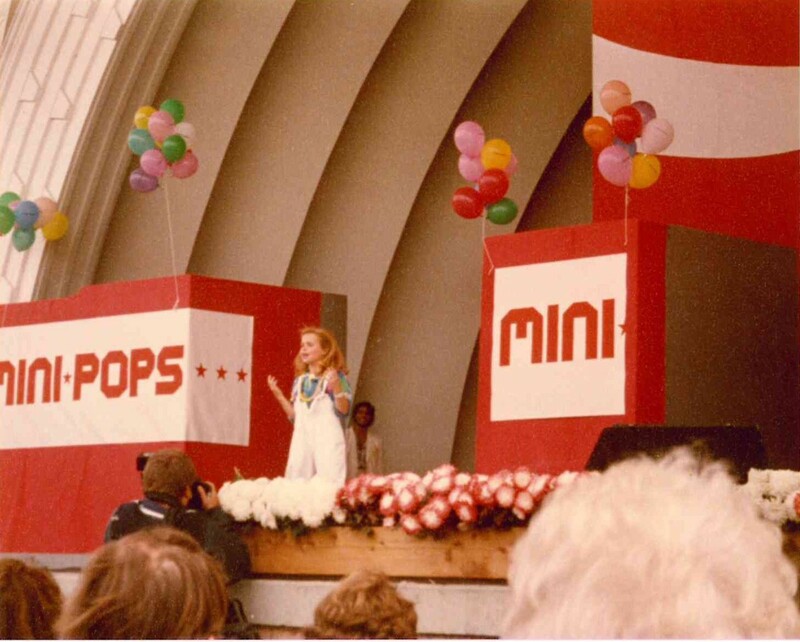 The Mini Pops ran for eight years, making nine albums, with international acclaim, a number one in 27 countries, and reaching number three in the album charts in Canada, where the Mini pops toured for three weeks, with sell-out concerts in front of audience’s of up to 20,000 people, covering Winnipeg, Vancouver and Toronto. More recently, Joanna’s television appearances have included Life After They Were Famous, and as the mystery guest on The Big Fat Anniversary Quiz, a light hearted quiz celebrating the 25th anniversary of Channel 4, screened at the end of 2007, amongst several other TV documentary’s. 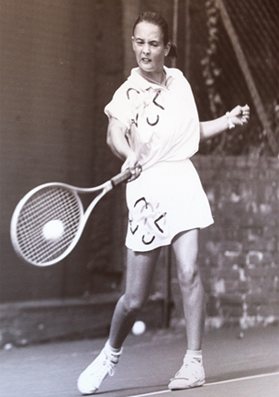 Tennis also was a great passion for her, coming naturally as her family were all very sporty. 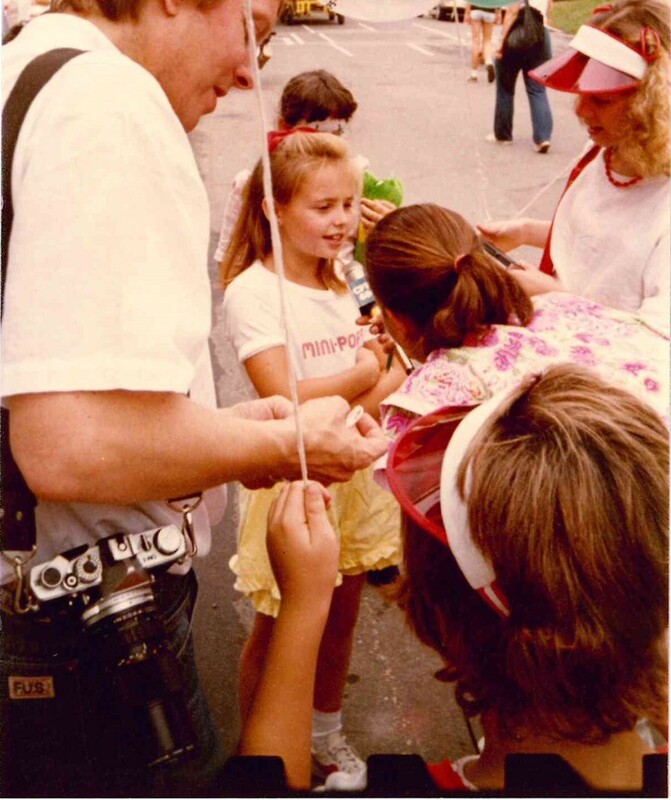 She began at the age of four years old, and soon she tasted winning and decided it was something she enjoyed doing! She was county champion from the age of 8 to 16 years old, and was in Regional and National training at Bisham Abbey, at the age of 10 and 12, she was ranked number 1 in Great Britain, and had to make a big decision if Tennis was to be her destiny, which would mean going to America on a scholarship, or if Horses were going to be the way forward…… Horses took over! Joanna always had a passion for riding, starting riding at the local riding stables at the age of three. At thirteen years old she was accepted to train with the great Horseman and Olympic Show Jumper Peter Robeson, who educated her on her Pony for three years, on horsemanship and the art of understanding how horses think. It was a basic knowledge that her entire concept of riding is based on. Thought and understanding, which turned her attention to Dressage. It wasn’t always what her Pony wanted to do, but with a lot of hard work, she became one of the few ponies to be trained to Grand Prix in Europe! In 1992 Joanna moved to Holland to train with her 3 just broken young Horses to Bert Rutten, where she stayed for just over 3 years. She was invited to compete in the Dutch National Championships at Prix St George in 1994 on her British bred Gold Medal Mare Aprillis. 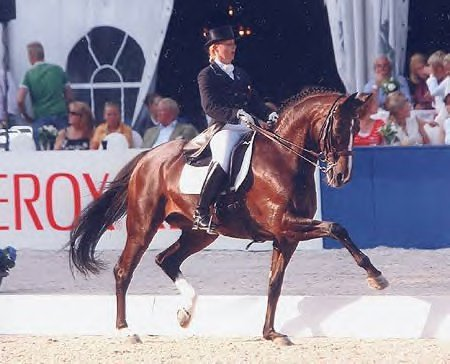 In 1995 she moved to Germany, Warendorf where she was accepted to train with her horses by Rudulf Zeilinger, a classically trained perfectionist on a horse, Rudulf’s gentle manner and superb teaching brought Joanna up to the Grand Prix rider she had aimed for. In 1996 she competed in her first CDN Grand Prix and was Long listed for 1996 Olympics. April was soon after retired, and was the first foreign mare to be accepted and awarded St-Pr-St status by the Westfalen Horse society, and was bred to Florestan, a Landgestut Stallion. April gave birth to a filly named Flo. Flo was trained to Grand Prix and taken over by a very talented young rider in the UK, Holbrook Farm. 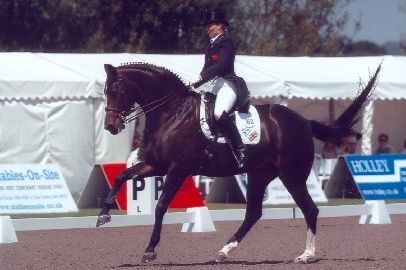 In 1998 she bought her horse Coco Chanel as a 4year old and just two years later in 2000 qualified on the first outing for the finals of the Bundeschampionate for 6yr old horses and was selected to represent Germany at the WYHC. • 2004 Joanna was short listed for 2004 Olympics. Her Horse Coco Chanel was then sold to World famous American author Tami Hoag. Joanna had 9 top 4 placing’s at Grand Prix and Grand Prix Special CDN out of 12 shows. List 1 Rider and International competitor in Great Britain and Class 1 Rider in Germany. Joanna trained 12 horses to Grand Prix whilst she was based in Warendorf Germany. She gives Dressage clinics in The UK and Europe. From 2003 to 2006 Joanna trained individual riders for the gold medal British Pony Eventing team and Show jumpers for the British Pony and young rider Teams as well as other talented pupils, namely Emma Hancox, Evie Hancox, Sienna Myson Davies, Daniel Neilson. Joanna has a natural ability and empathy for Horses, understanding them and getting the most out of them with very little stress, this comes from over 19 years training with the best in the world. Her moto is “Better to sit on a friend, than sit on an enemy”. During a years break, Joanna had the inspiration to write and produce a pop/club album. Purely for a combination of fun with serious intentions she asked the help of a very famous music producer to lay down her music. She created the EP “Hypnotised”, a superbly catchy upbeat collection of five tracks, which she performed under the name Miss Demeanour. The album is available for sale worldwide on iTunes and Amazon etc. During her many years consisting of long days in the stables she witnessed her Horses do so many funny things….! Horses are creatures with tremendous characters, they know no malice, they are loyal and curious and kind in nature. This gave her the perfect ingredients to collect all these wonderful memories and create 6 of the funniest children’s bed time stories, told purely from the horses perspective, of every day occurrences. She got in contact with Eric Heyman, a superb illustrator who worked phenomenally hard to capture the horses characters and expressions, as these were real horses, Joanna’s horses, who deserved to be kept in memory forever in ink. The pictures are a work of art and complete the stories perfectly. Each story delivers facts about the horses strong individual personalities (that all horse lovers know exist)! Ending with a perfect moral for children to learn and think about. 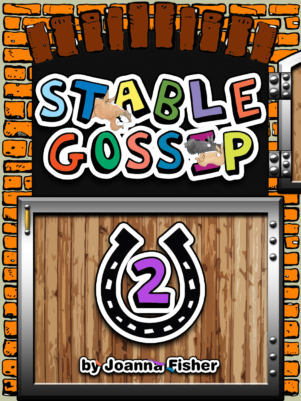 The collection “Stable Gossip” is the complete 6 stories, or the individual titles available are sure to lighten up your day whether your into Show jumping or Dressage! Aimed for children between the age of 4yrs – 14yrs, it will have everyone in fits of giggles, with the main character Nosey controlling the scenes. Available now world wide on Amazon Kindle. 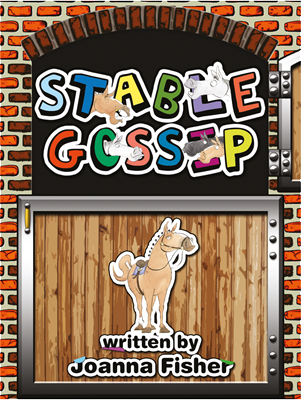 Stable Gossip will be a brand, as Joanna hopes to get the book on audio, as well as cartoon for television, already approached by interested parties. Soon all the characters will be available in soft toys to buy. Joanna has been signed to the great & enthusiastic publishing house Candy Jar. The book will be released in paper back in March 2016. Joanna continues to make the most of everyday, whilst surrounding herself by the happiness and love of her Horses and back home with friends and family in London where she’s based. Her ambition, determination and drive give her the strength every morning to get up and continue training the horses in the stables to Grand Prix, knowing at night she can go to bed potentially writing history. More recently, Joanna’s television appearances include “What Ever Happened to the Minipops”,”Best of Bad TV 80’s”,”Posh Pawnbrokers” plus countless other TV shows and radio interviews.